Fucked Up – Live at Neumos! 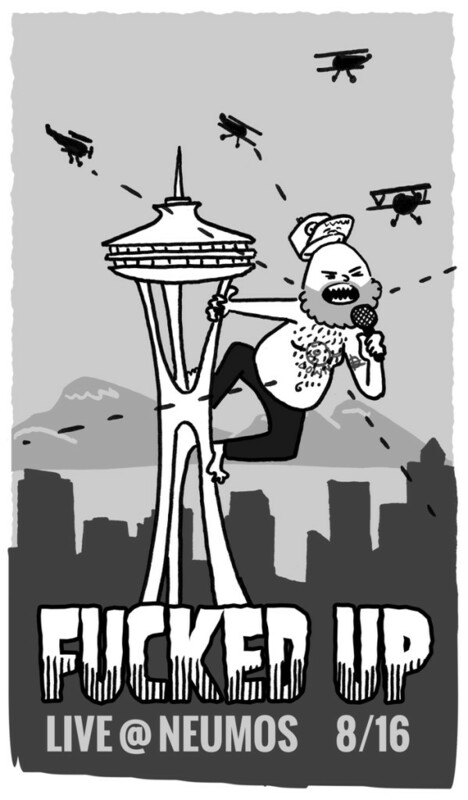 Very excited to see Fucked Up performing at Neumo’s in Seattle tomorrow night! So much so in fact that I drew this picture of Damian Abraham tearing it up. My drawing even won me some tickets to the show, from NadaMucho.com! Thanks guys!